After reading Roxanne’s blog, A More Creative Me a few days ago, I wondered what my “vision” for this blog was. Is it really letters just because (I know I shouldn’t use just like I do, but too bad because I’m not an English major and I’m not trying to win an award blogging) or is it to keep an ongoing record of who I write to and why? Who knows where the vision or direction of my blog will go this year, I am open to letting it unfold however it may, all letter writing related of course. 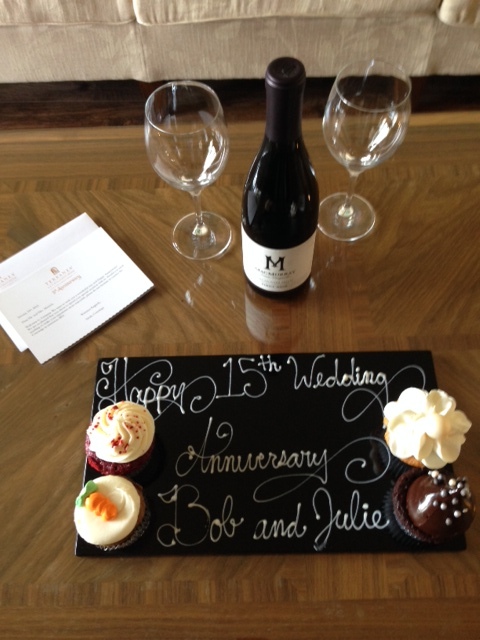 A thank you card is in order today for the wonderful Sarah from the concierge’s desk at the hotel where we stayed who so kind to not only put flower petals on our bed, but also arranged for this lovely display to be in our room upon arrival. Loved it! We had a wonderful time (minus the Green Bay Packer loss) and are blessed to be able to take little getaways as much as we do. So, I’m in the gift shop and had to (!) purchase some cards. Remember my last post where I said it was nice to get a pack of cards at Target for $3.00? Well, these are on the higher end of the scale at $6.00 a piece. What can I say other than I am a visual and tactile girl. The photo below does not do justice to the thick quality cardstock and letterpress indentations. Feeling these cards makes them worth $6.00. I have only been to Orlando briefly, but if I’m ever near that part of Florida again, I’d love a tour of Rifle Paper Company if they would allow me. I have seen letterpress machines and could have spent all day at Oblation papers in Portland, Oregon when we went there last year. Do you have favorite letterpress stationer? There’s yet another future blog post! 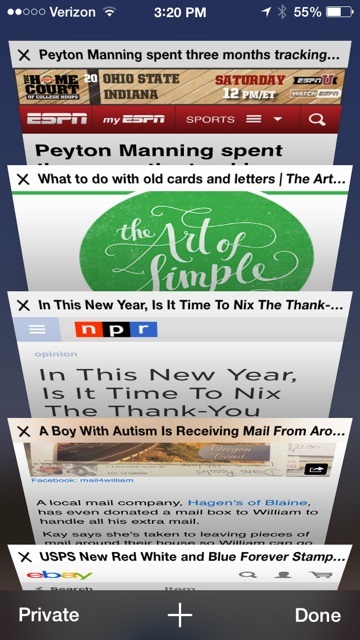 Also, last week I wrote about sharing articles with you that I’ve kept on my phone and wanted to share a one today. I took the postcard from the resort and wrote to Tom Purcell thanking him for his article titled, On Handwritten Letters. I like researching online and aside from spending an additional half hour looking for a physical address for him, I was able to read more of his articles that weren’t letter writing related, but it’s cool to learn about others. I know I’ve written this before, as he may never get my postcard, but I enjoyed taking the time to let him know he had an engaged reader out here in cyberspace. The best thing about his article to me was, “Still, I miss getting handwritten letters in the mail.” And, that my readers is why I believe it is a nice gesture to still write on paper with one’s own writing. 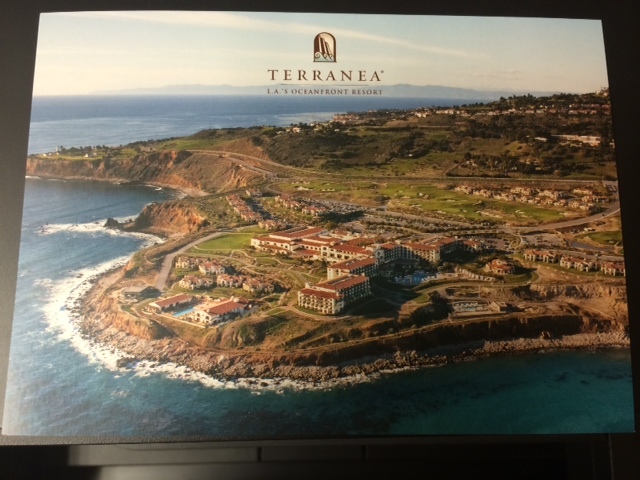 Here is another postcard that was in the room. 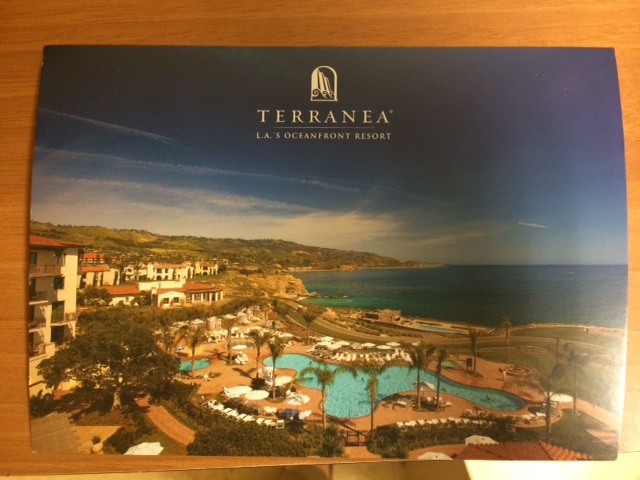 They also provided a flat note card and envelope that was on the desk. Any hotel that still provides stationery for its guests will get a repeat customer out of me! I always keep a couple first class and postcard stamps in my wallet for occasions just like this! I wish you a good rest of the week. I’m off to purchase some of these beautiful stamps online as you know what fun holiday is coming up in a few weeks! My husband and I usually go for a walk after dinner and the other night I screamed out as we walked by a neighbor’s house a few doors down. I was so thrilled to see what was hanging on their door. A couple with two small children have lived here a little over a year. We rarely see them, but when we do they are always a delight. They are a beautiful family and always have pretty decorative things on the door and porch. 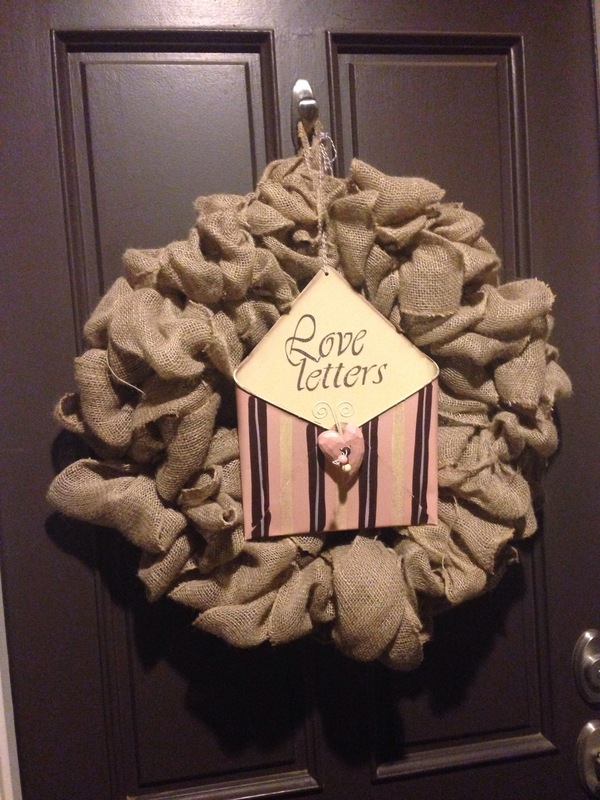 I’m not a crafty home decorator…no need to go there on this blog, ha! Anyway, I immediately snapped the picture and knew who would be getting my next letter. I am about to go place this in the card in the mail slot for them to tell them how much I appreciated seeing this hanging on the door and made my heart smile knowing there are others who still write and enjoy a handwritten letter. The card is from Target and right to the point. They came in a pack for around $3.00. Can’t beat that! I love when I buy cheaper cards as they come in handy just as much as expensive ones. When I read something online that is stationery or letter writing related I thought I’d start sharing them here on my blog instead of letting them pile up on my iPhone. Here is a screenshot of articles I kept that I will discuss this week and hope one of them touches you in some way. Because I am a big sports fan, not a huge Peyton Manning fan, this was a nice story. His ranking definitely has gone up. After yesterday I guess I will say, “Good luck next season, but Go Packers!” Sports are more than what the athlete does on the field. I can’t imagine the requests professional athletes receive, but this one is of course special because Kristen Patterson wrote a letter. That is one aspect of letter writing is that you don’t know who will read it or how the recipient will be touched by it. When I googled to get the link to post this article I saw another article about Manning that I liked even better! Thanks to his mother for instilling the handwritten note writer in him. Yeah! The moral of the first story though: Always put a return address label on your envelopes. I currently have six different return address labels and stampers. I’d show you them, but then my home address would be on the internet and not sure my husband would like that. I have thought about getting a post office box, and after reading Sincerely Kate’s blog a few days ago, she finally purchased one, so I may too, even though I’m not a true pen paler. If you don’t have a return address label I recommend Artistic Checks for fast and simple ones. They are under $10 for 250 and they have a variety of designs. I have simple clear labels with black ink. I also have two self-inking stamps from PSA Essentials. My personal calligrapher designed a return label for me where I can print out labels from standard Avery Labels, good ol’ 5160. While on the subject of football and because I have less than three hours until the College National Championship begins, Go Oregon! (Did I say I am a big sports fan?) here is another handwritten note article that I came across where the video sums up why I love it! How cool that this 6th grade boy from Oklahoma wrote to all 32 NLF teams and so far has only heard back from one. What I admire most is how the owner of the team, in his own writing, took the time to write this young boy who will surely save the letter and helmet for years to come. Have you ever written to a large organization and heard back? I wrote to President Clinton years ago (again, showing my age) when I was a middle school teacher asking him to visit our science class since he would be in the Los Angeles area. I did receive a letter back, but some intern said he had to decline due to his busy schedule and it wasn’t handwritten. I’ll have to look for that one. 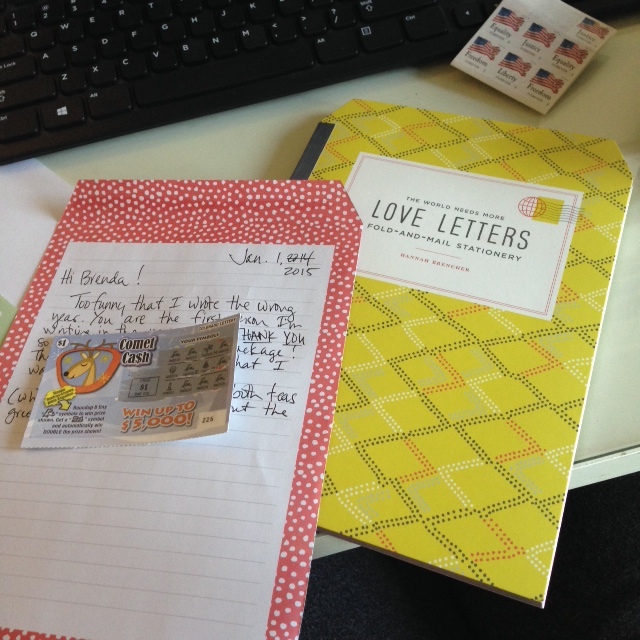 Have a great rest of Universal Letter Writing Week! Quick! It starts Thursday (why middle of the week who knows?)! Please consider clicking on this link and sign up for Alexandra Franzen’s free course where she will email you a new letter writing prompt, every day, throughout the seven days of this letter writing week. I know I can write seven letters no prompting needed, but this will be fun to see what a writing expert inspires within us to script. I don’t know Alexandra, but I did write her earlier today to thank her in advance for this free “course” and for her having a link to her posts. Any website that has a physical address where I can write to is a plus for me and hopefully the recipient. You must check out the list she has on the main home page that says, “these are my posts”. Let me know if you looked at it and didn’t click on any of them? 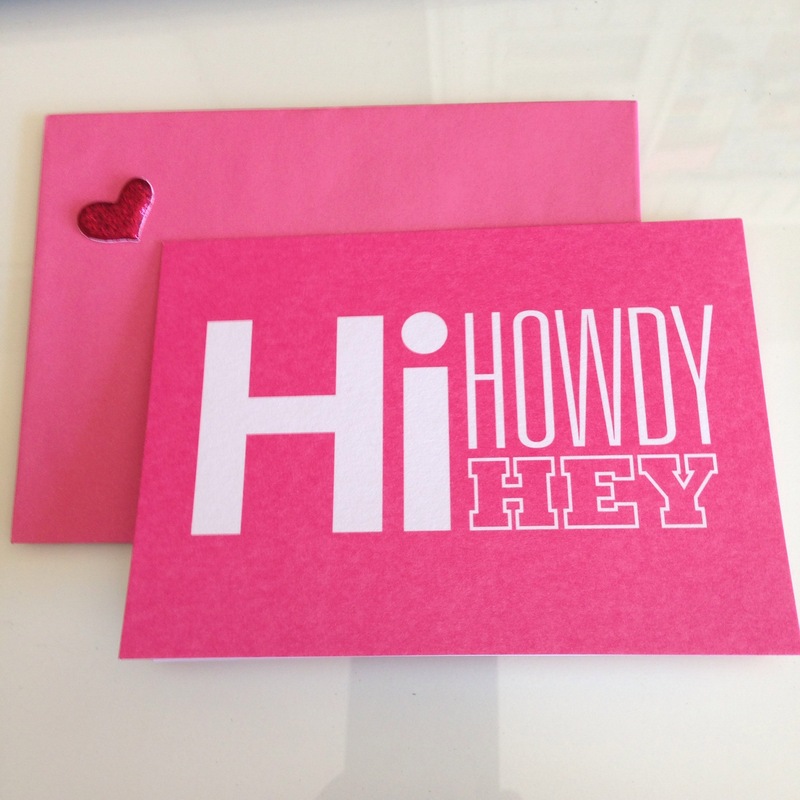 The 30 mini-love notes for Valentine’s Day…or any day were probably my favorite! I cracked up at some of them, and others were way too technical for my I just want to have fun blog. One other thing I’ve recently decided to do … it wasn’t a resolution, but after organizing my stationery drawers today (plastic container drawer in the kitchen can wait) and seeing how much I spend on stationery, I am going to try and minimize the purchasing there. 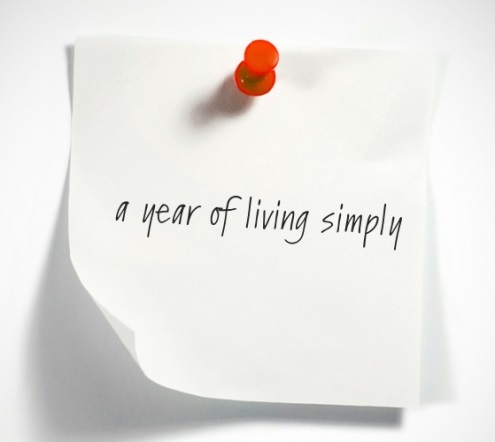 I was also encouraged by Dallas Woodburn’s blog where she is dedicating the year to various meanings of simplicity and the first question she asked was to identify things you over purchase. No brainer there. I have yet to meet Dallas too, ( I think our paths will cross soon as her parents live 15 minutes from me) but two things we both admit to over purchasing is stationery and tea. I look forward to her weekly blog posts. Off to get to letters in the mail. 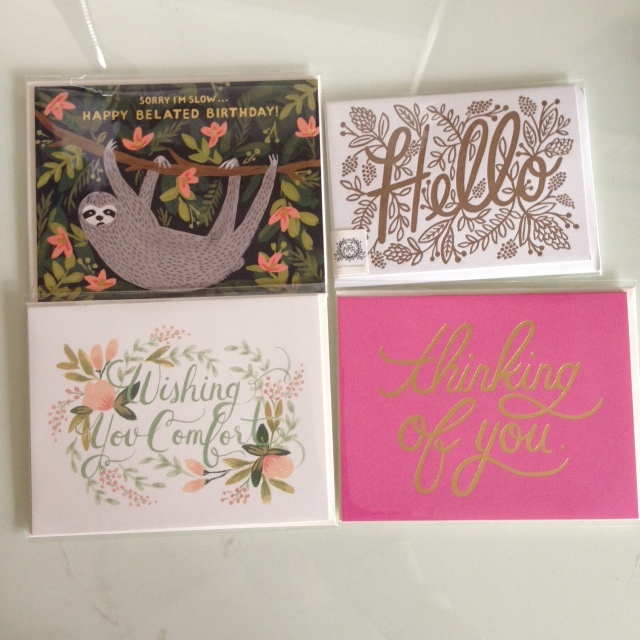 One is a birthday card and I’m kind of obsessed with cards arriving on someone’s actual birthday even though most people (of course not those of you reading this) don’t check their mail daily. And, there again, a blog for another time. I was excited to write a friend a thank you and wrote the wrong year. I never do that! Welcome to 2015. I do script a lot while watching sports events, so I could blame it on Florida winning the toss in the Rose Bowl. A friend from high school was so kind to surprise me with not only a letter, but a package of goodies from where she lives now in Colorado. The best thing about receiving this was that it wasn’t expected and it was very thoughtful. Her timing was impeccable as I had just returned from the hospital (explained in previous post). On a side note, if you ever have to have surgery, I do recommend around Christmas so at least you receive cards in the mail daily and they cheer you up. So, back to my package and the best bonus that I will now start including in an envelope is a lottery scratcher ticket. I’m all about someone has to win and though I’m not obsessed about playing it is always fun to put one in a birthday card or now I will start adding them in my out of state correspondences because if they win they will be forced to mail it back for you to cash it in for them. I’ll keep you posted on that. 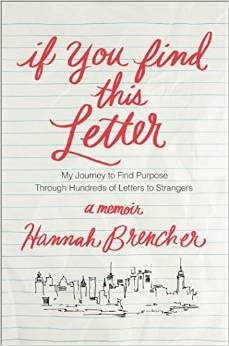 There have been many times I’ve wanted to write about Hannah Brencher, but since I am using her new fold-and-mail stationery, it is as good of time as ever to write about a young mover and shaker that I had the pleasure of talking on the phone with a few years ago when she was just starting The World Needs More Love Letters. (Which, you must check out the website if you haven’t!) Hannah has a very cool story on how she created her website and will now be an author because of its success. The fold-and-mail stationery that I purchased comes with 40 sheets of paper and ideas on who to write and what to write about. They also come with fold over seals which immediately reminded me of an old letter I received from my great grandmother when I was in college way back in the late 1980’s that I still have. I’ll have to google them to learn about the history or when they disappeared and are now making a come back. I have only used two sheets of paper and though I’m not wild about the patterns, it is a great gift idea and because it looks like a thin book, it would be great to travel with or keep in a briefcase, backpack or bag. The size is perfect with lines, so if you didn’t want to write that much you could skip one. Back to Hannah. If you are a twenty something person, I encourage you to browse through her website. If you are younger or older you may also like what she says, I just think her main audience is college and post college young people. She has a way with words that I believe will have you agreeing or reminiscing to some part of what she blogs about. I look forward to her coming to Southern California where I live and having coffee with her or walking on the beach someday. She has a book coming out in March, which I highly recommend pre-ordering from your local book store or Amazon. I honestly don’t remember how I connected with Hannah, but I wrote to her and her then publicist talked to me and we had a short conference call. Like many things in my life, I don’t want to job, I just want to be the cheerleader about it. She was on the east coast and we discussed me being a west coast liaison. I knew from the conversation it wouldn’t really materialize as she was still developing it and I was ok with that. I get pretty excited over stationery and letter writing which I think I conveyed (even though I’m not really a ‘writer’-whatever that means), but one of the most profound things anyone has ever said to me back in May of 2012 after I apologized for being so hyper about what she was embarking on, she said, “You’ve got to own that energy!” So, I like to write letters for MLL (More Love Letters), I’m a follower on Instagram and Facebook and I’m much better about owning the energy about things I have a passion for. There’s a whole different blog about how MLL helped me surprise a friend which I promise to blog about in a future post. Stay tuned! To go along with what Hannah said to me, why don’t you consider using some energy to write someone you’ve been meaning to thank, encourage, reconnect with or just say hello.